MultiGrid® is our recommended installation concept. In order to provide ultimate flexibility during installation and future extension or adaptation, we recommend designing and installing according to our MultiGrid® concept for support. Experience proves that most installations have some changes to their design or unforeseen adaptation requirements during the construction or installation phase. With the MultiGrid® system, you can re-evaluate your needs and easily adapt the system throughout the entire lifetime of the installation. MultiGrid® is our concept of installing a grid of welded starter brackets in a set pattern over the entire equipment area, as opposed to having to pre-determine, locate and provide support directly over each specific component. 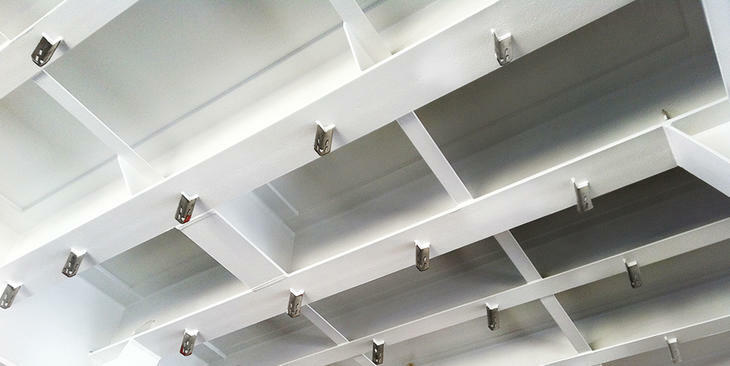 Supplementary starter brackets can of course also be added at this time to cover any specific load requirements i.e. to support piping sections. 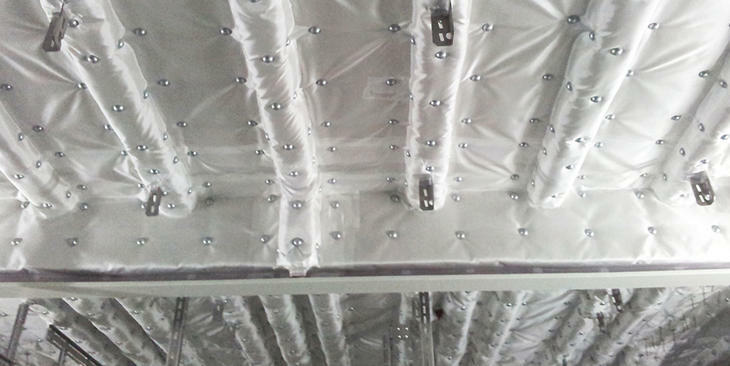 ​Employing the MultiGrid® installation concept is especially beneficial when the structure has been insulated traditionally; with available starter brackets to connect to, future modification becomes easy both during construction or when the installation has been put into service. 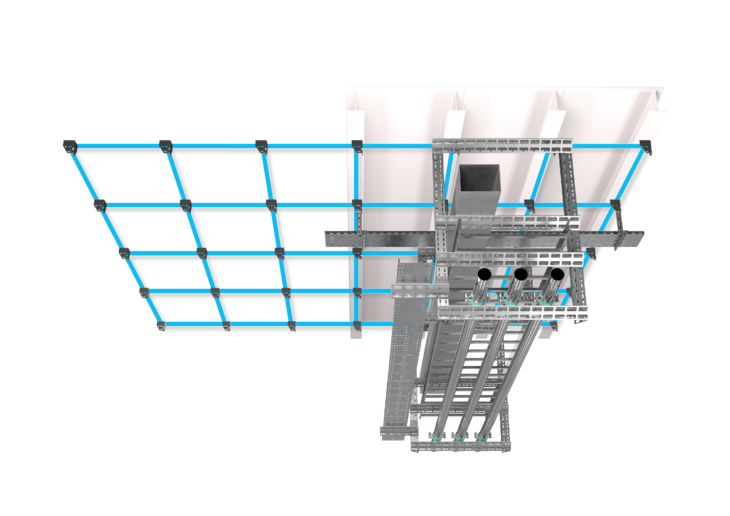 MultiGrid® allow for supports to be shared between multiple disciplines, thus optimising installation space and reducing installation time and material required. Starter brackets can be connected using Mekano® traverse beams to maximise the flexibility, or support can be installed directly on the starter brackets. The inbuilt redundancy provided by multiple starter points at the early stage of construction is a low cost and no risk investment, compared to the significant costs and difficulties in having to add or reposition supports during later stages of construction, or worst case, during operation. The flexibility of MultiGrid® also takes into consideration future upgrades in technology and new equipment to be incorporated in existing spaces without requiring entire refits. Using MultiGrid® and bolted Mekano® support, entire areas can be reconfigured without using welding. Mekano® starter brackets for designing MultiGrid® installations are available in various lengths and types in a range of material qualities to suit any installation environment.